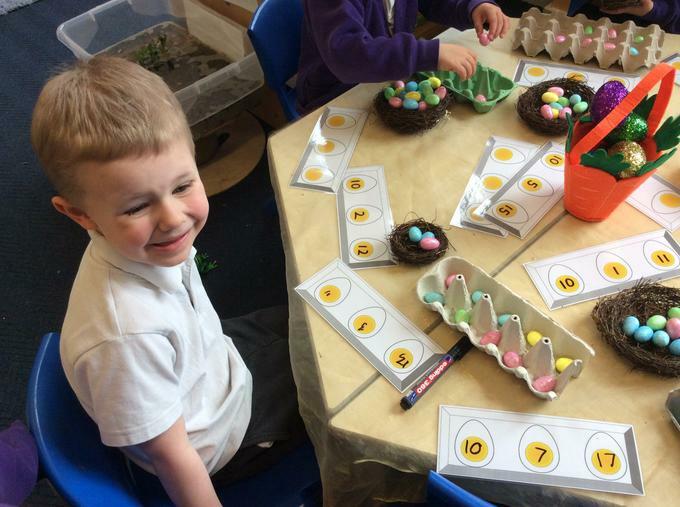 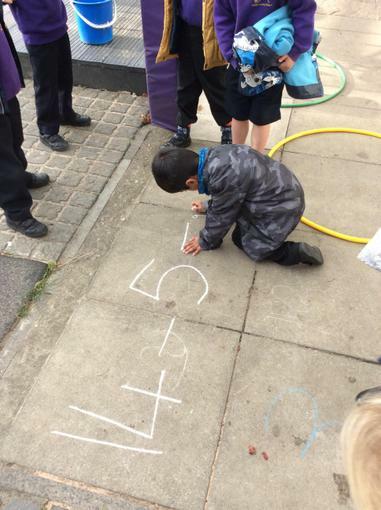 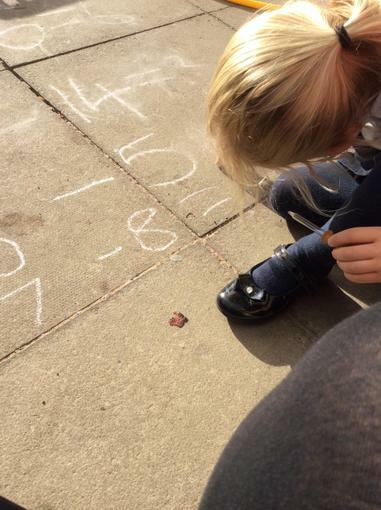 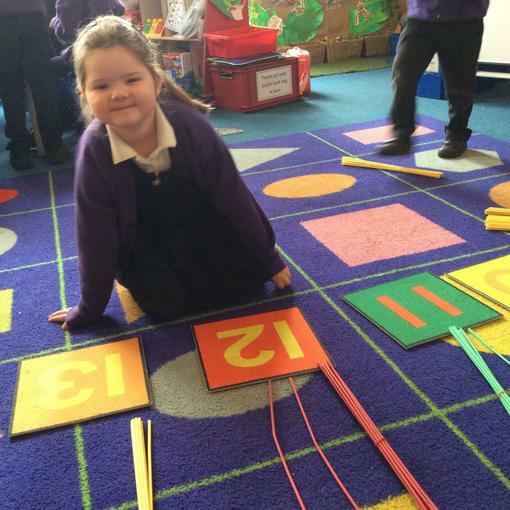 Fantastic maths from the receptions today. 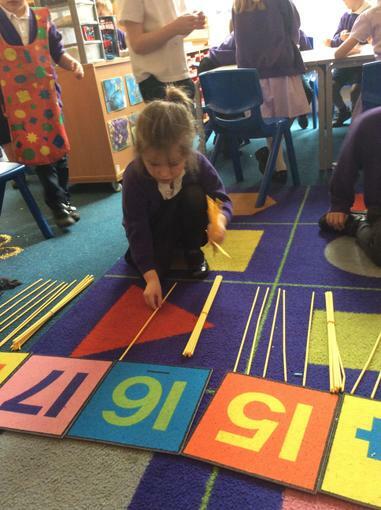 They are gaining an understanding that teen numbers are 10 plus another number. 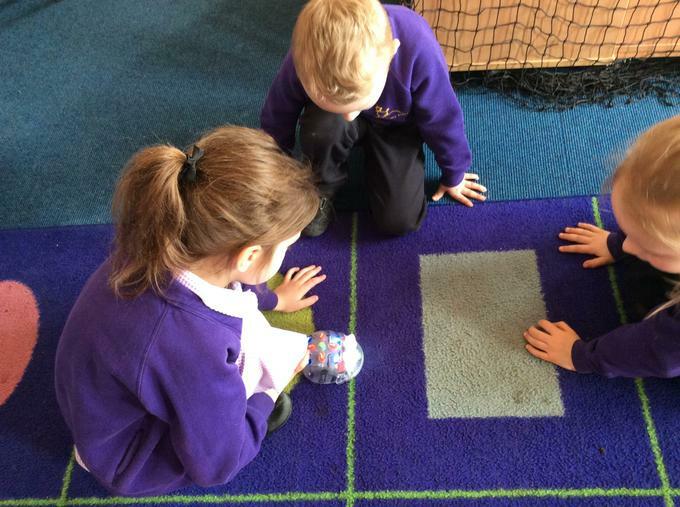 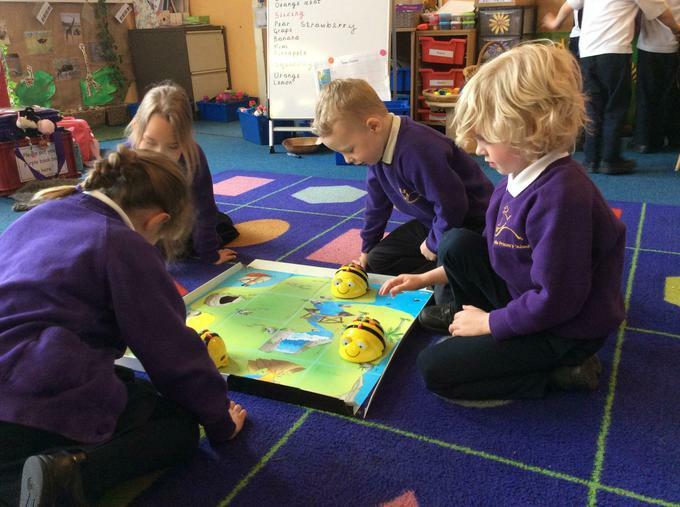 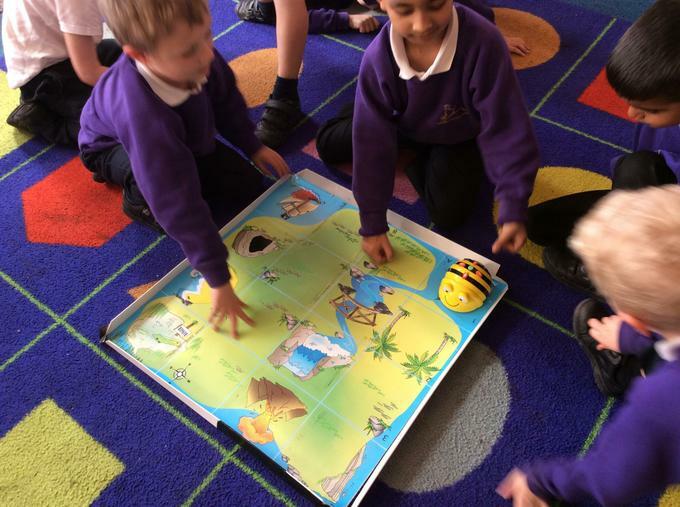 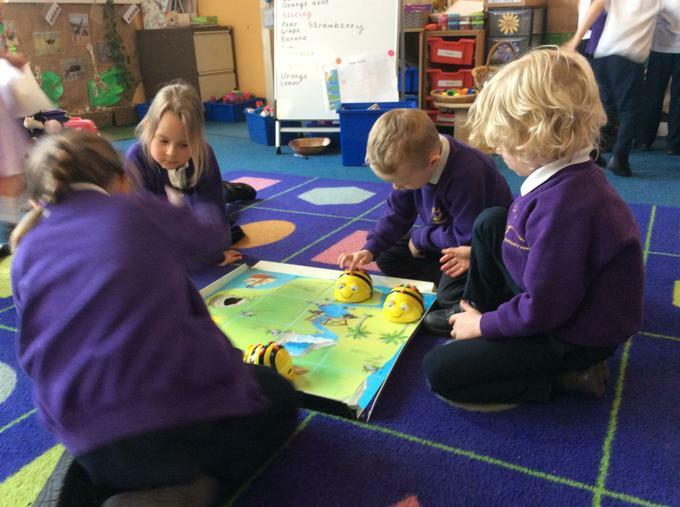 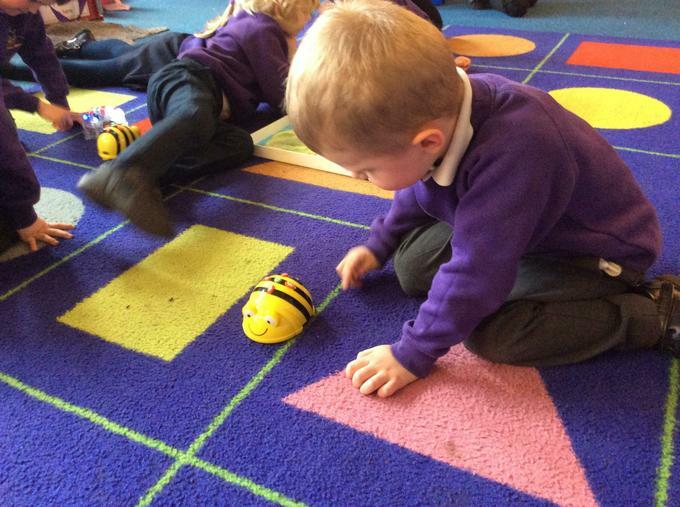 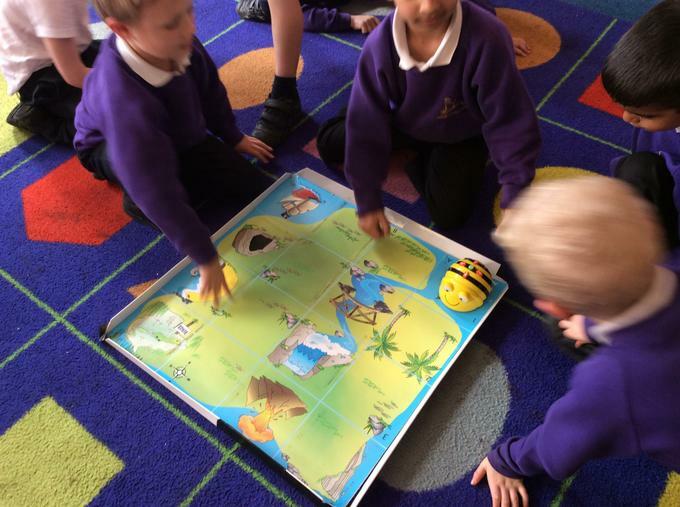 Using the Bee-Bots for directional language. 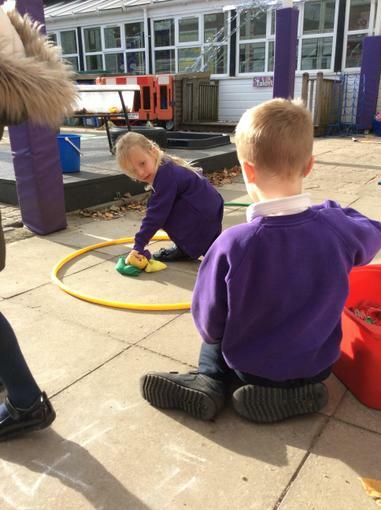 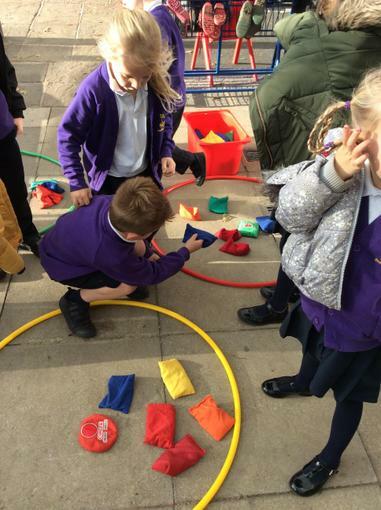 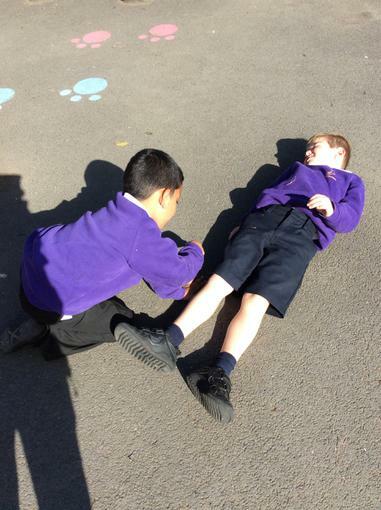 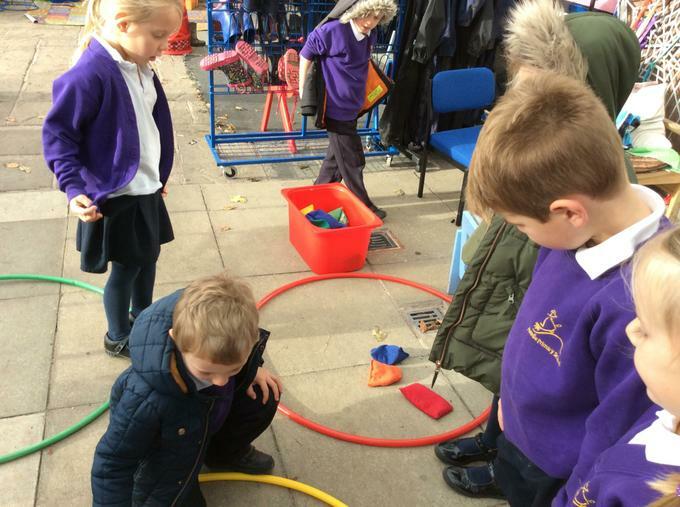 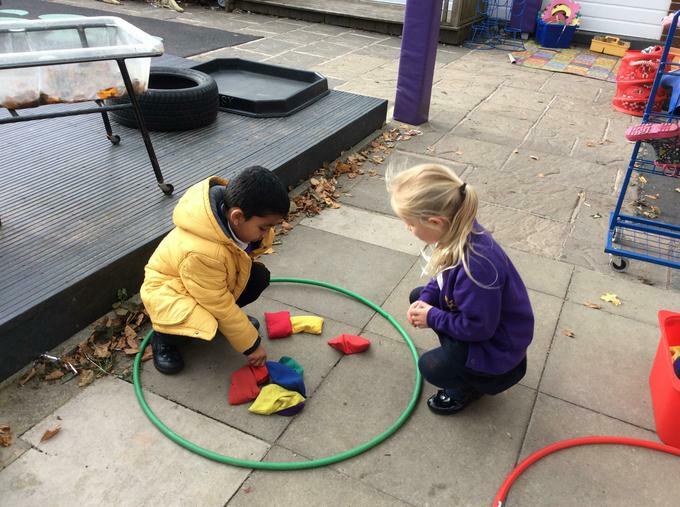 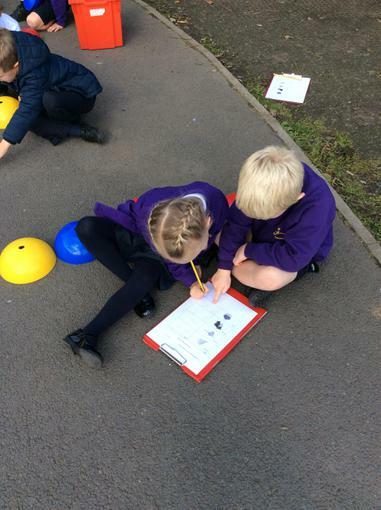 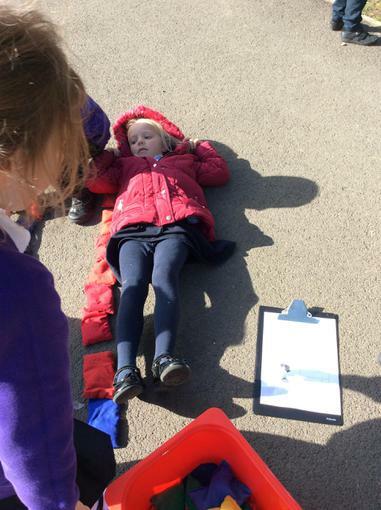 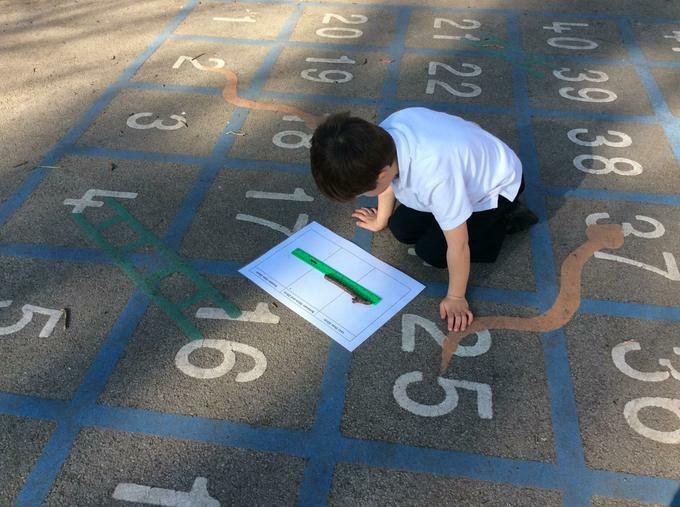 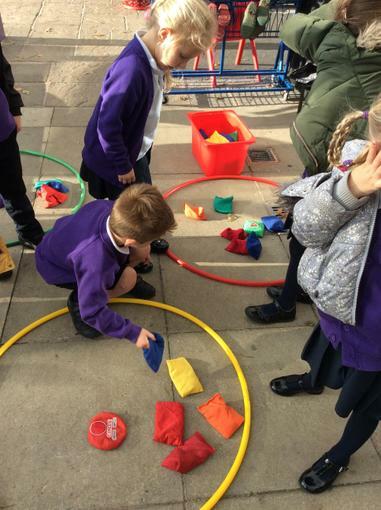 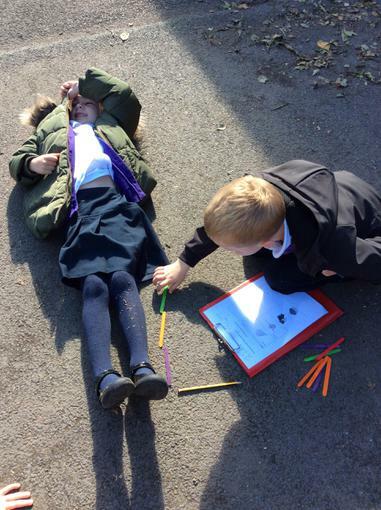 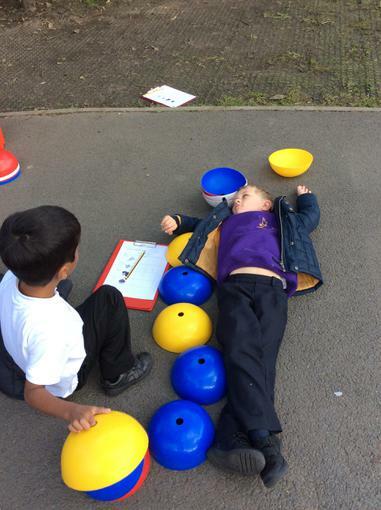 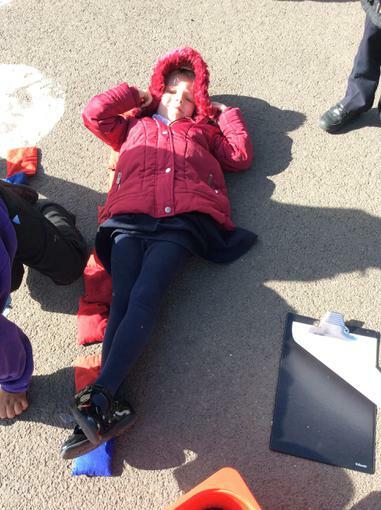 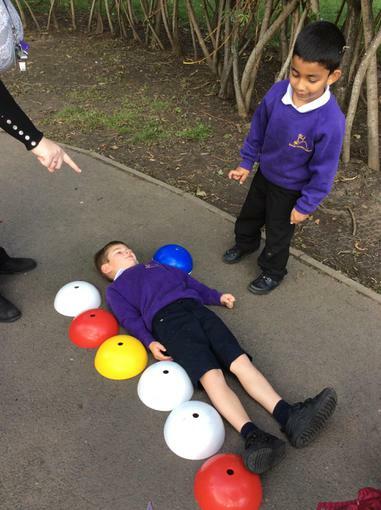 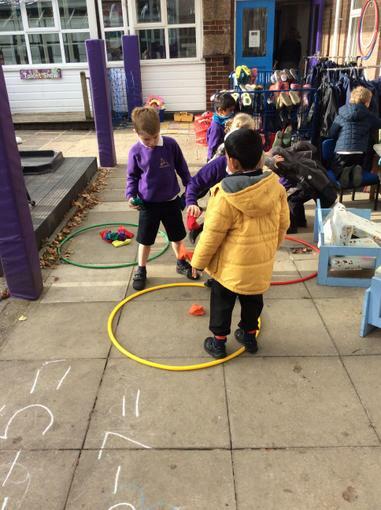 We love outdoor learning! 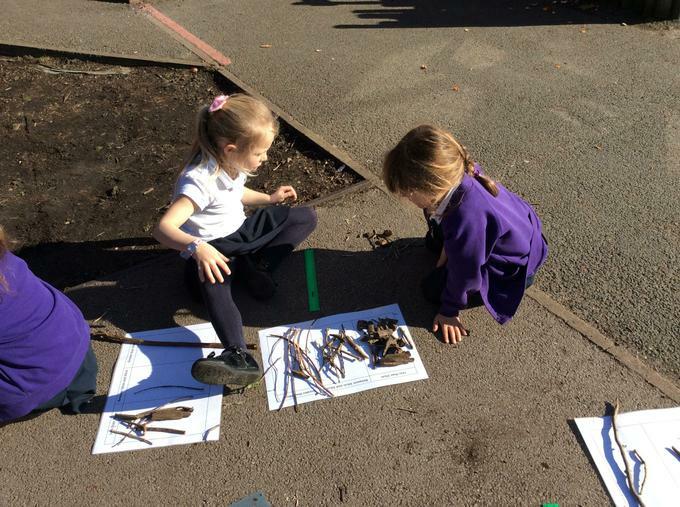 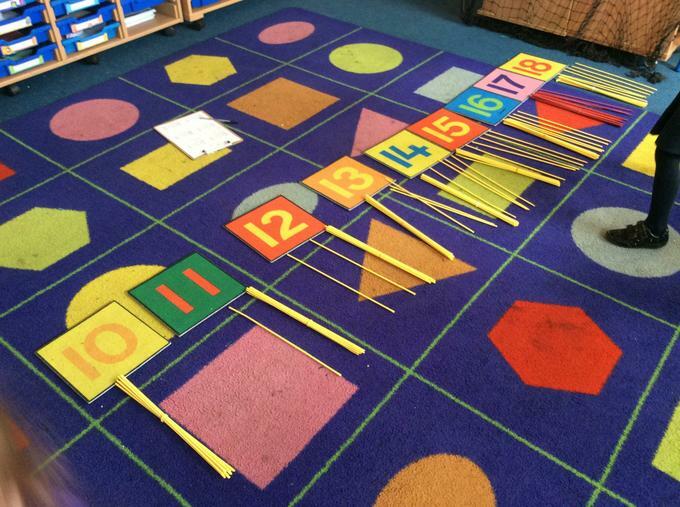 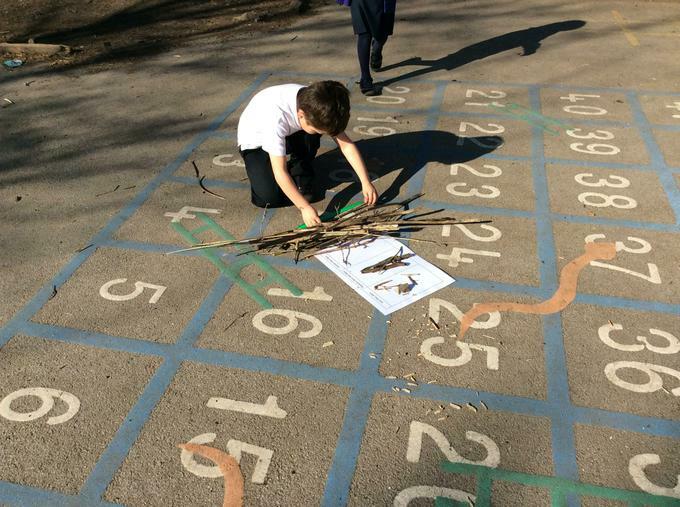 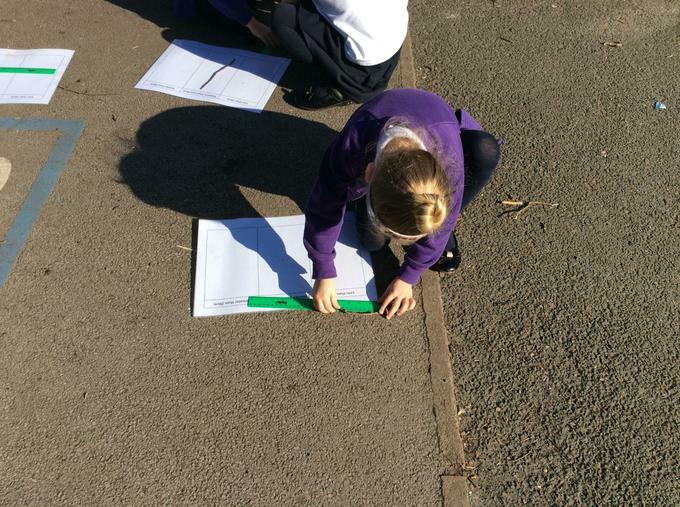 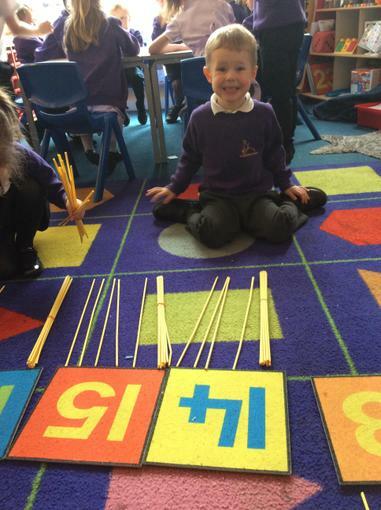 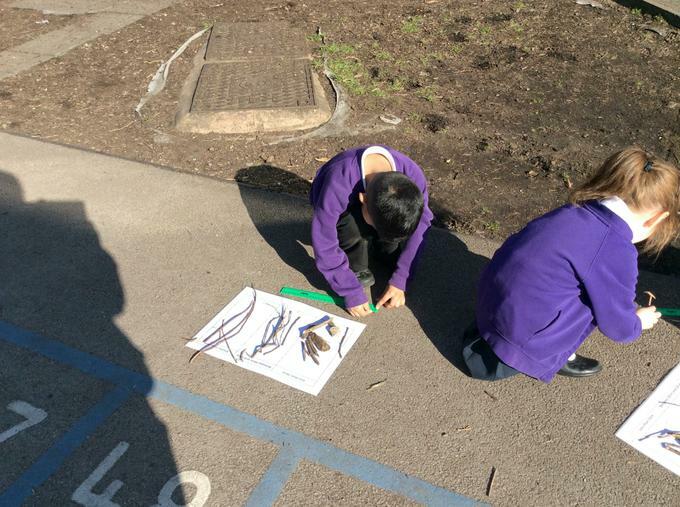 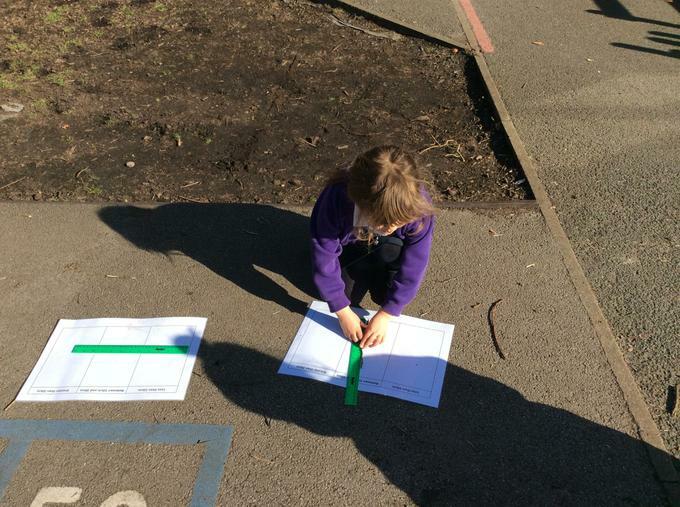 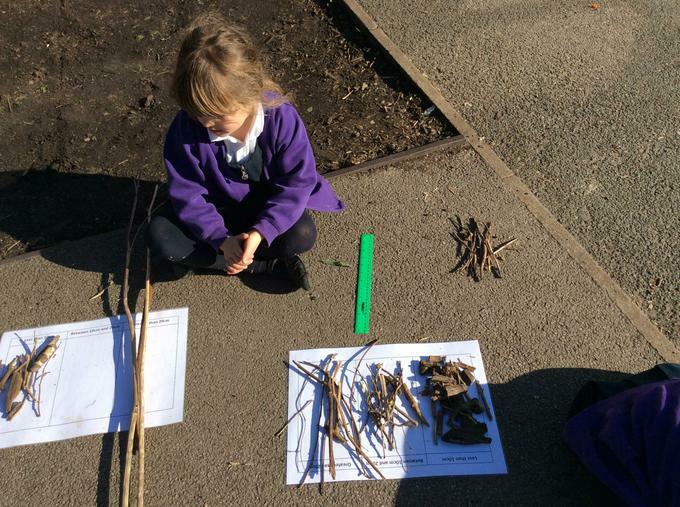 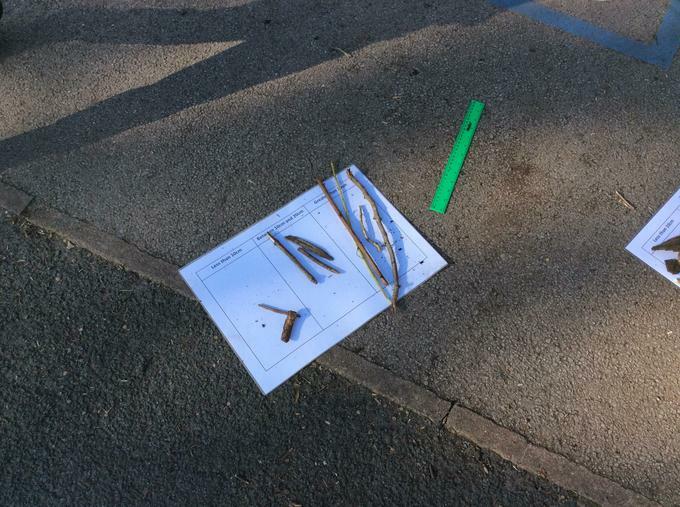 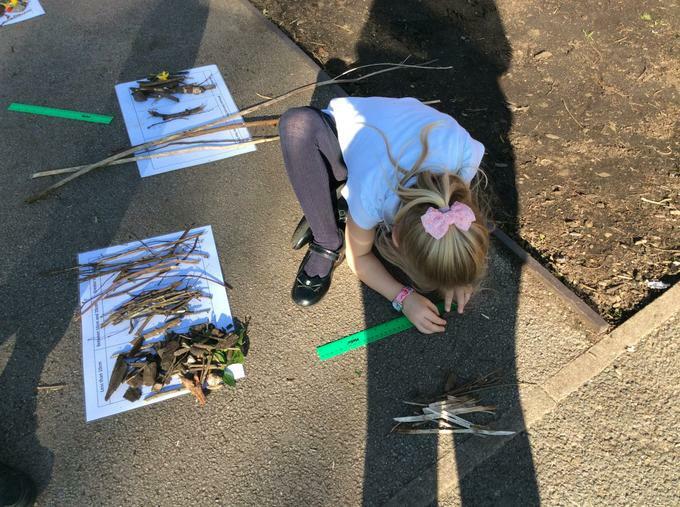 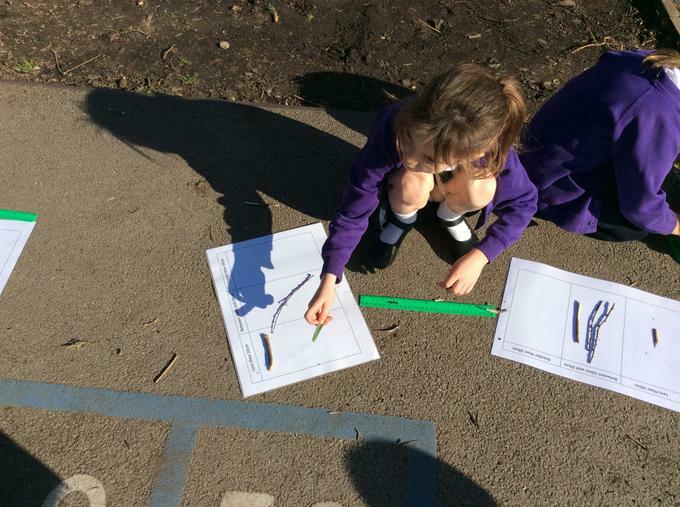 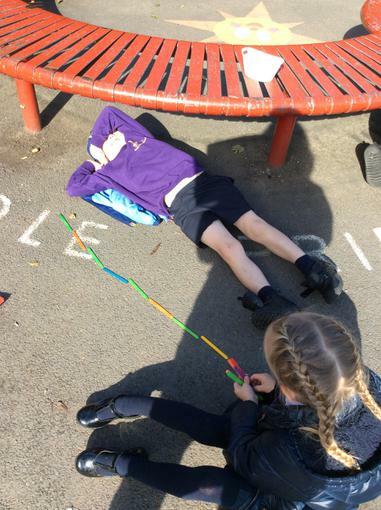 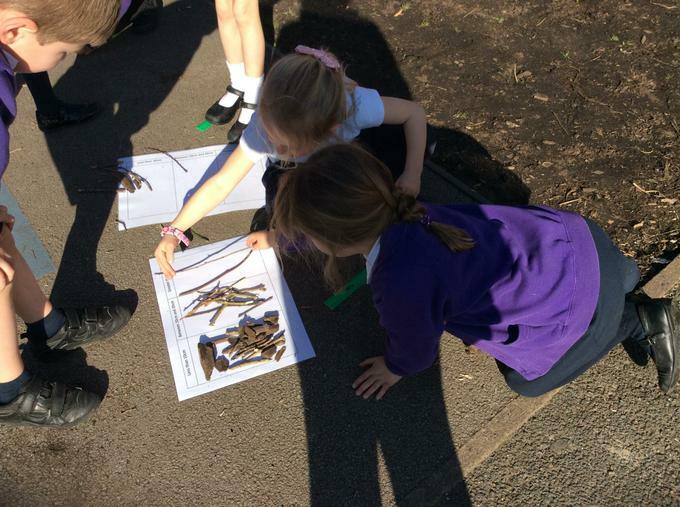 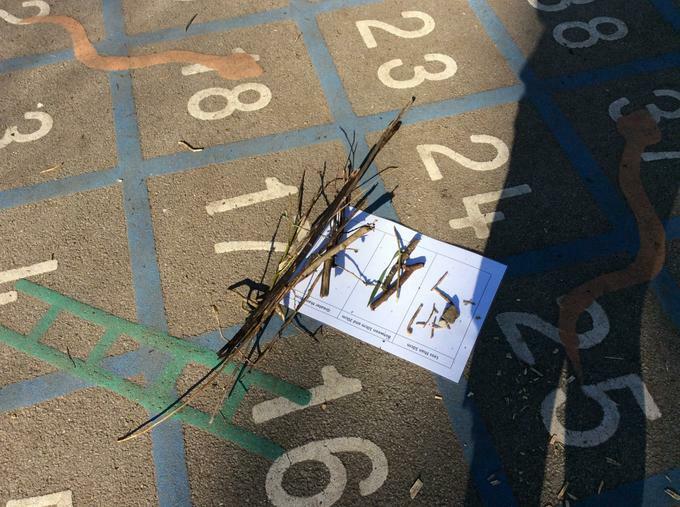 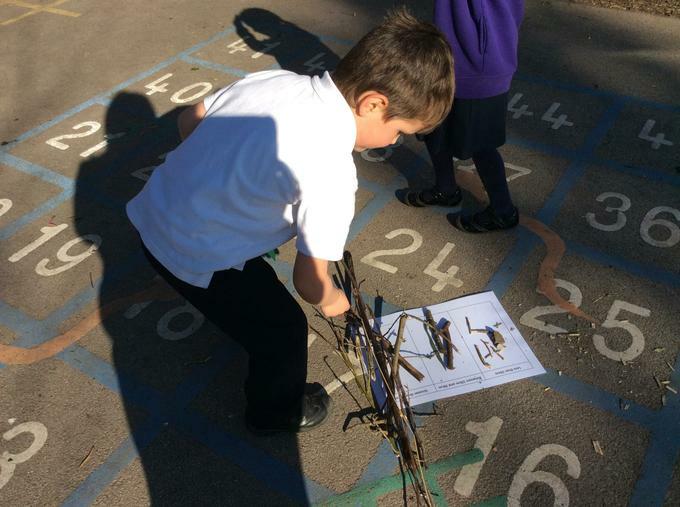 The children had to measure the sticks accurately using a cm ruler and then place them in the right category (shorter than 10cm, between 10cm and 20cm and longer then 20cm). 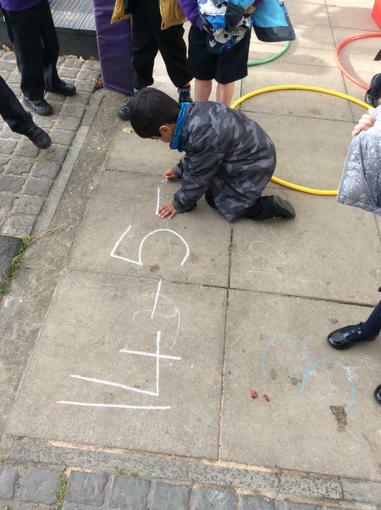 They also predicted beforehand. 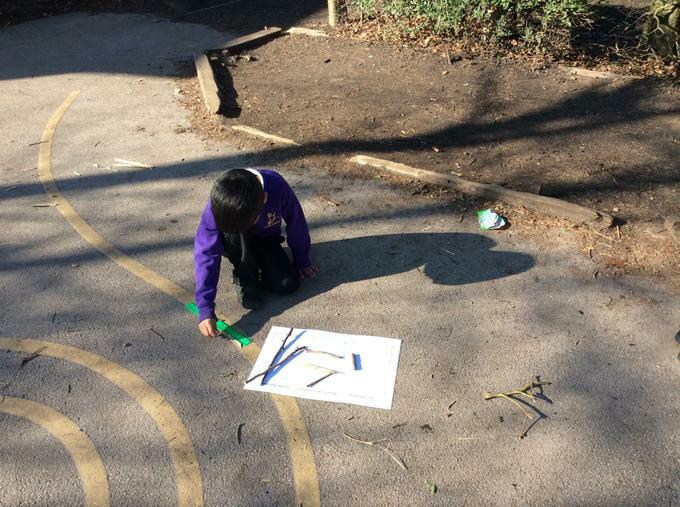 “The ruler is too short to measure this long stick, I think it will be longer than 20cm” - fantastic vobularly and reasoning! 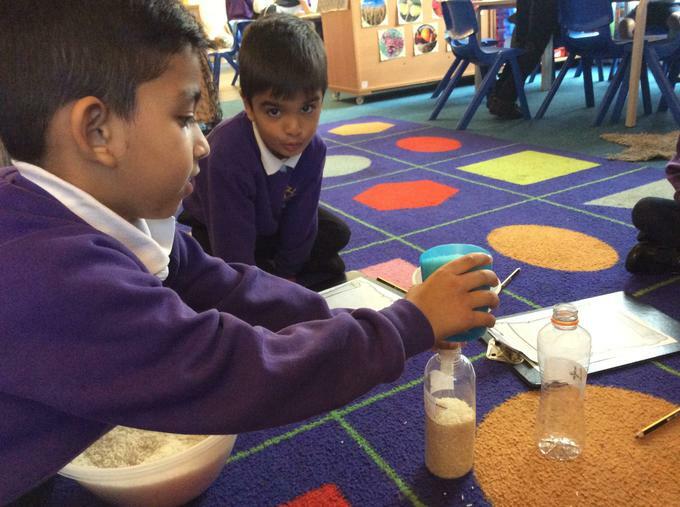 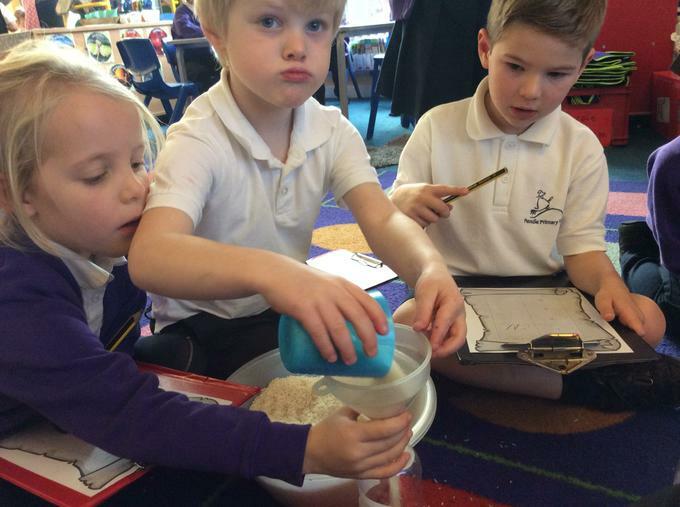 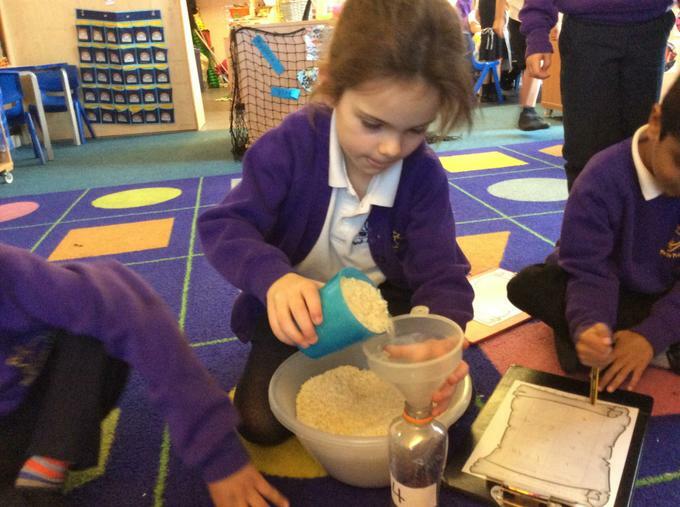 We have been very busy this week exploring capacity and volume. 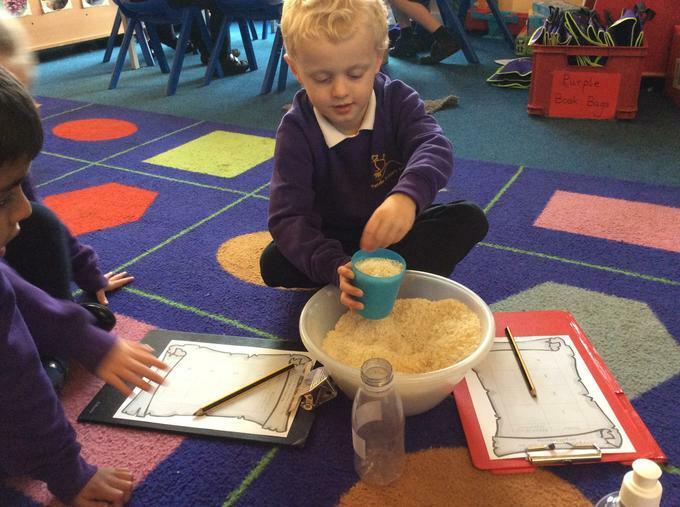 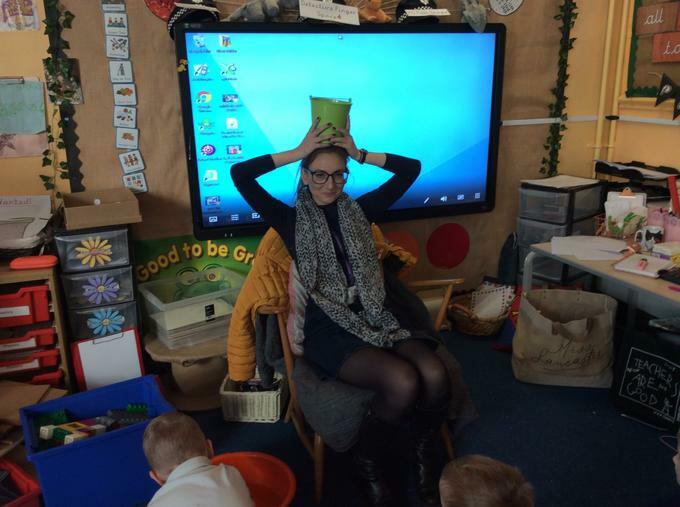 We made a magic potion to catch the Evil Pea but we had to find the bottle with the largest capacity first. 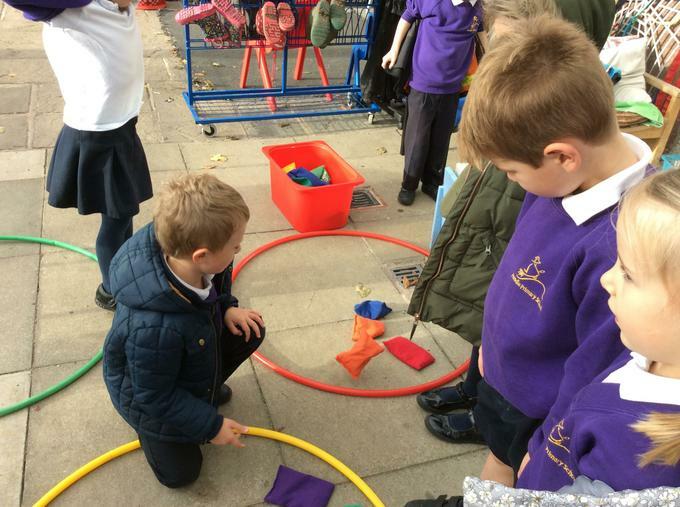 Lots of problem solving! 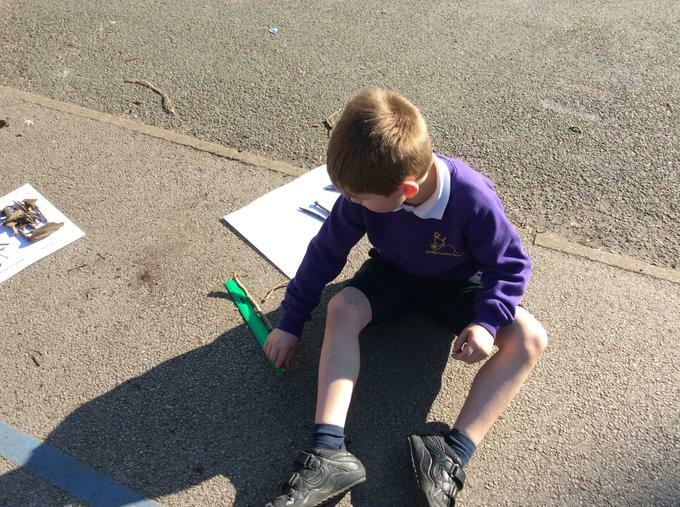 Using the part part whole method to work out subtraction calculations. 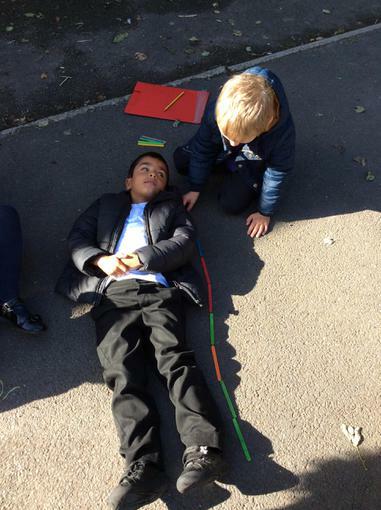 Measuring length using non-standard measures before moving onto standard measures!